The exam is composed of several multiple choice and drag and drop questions. I found the exam to be more challenging than I was originally expecting. I would certainly advise everyone to do as much preparation beforehand. I found the official exam reference book to be invaluable and can’t recommend it enough. The exam covered WAY MORE topics than I was originally expecting. 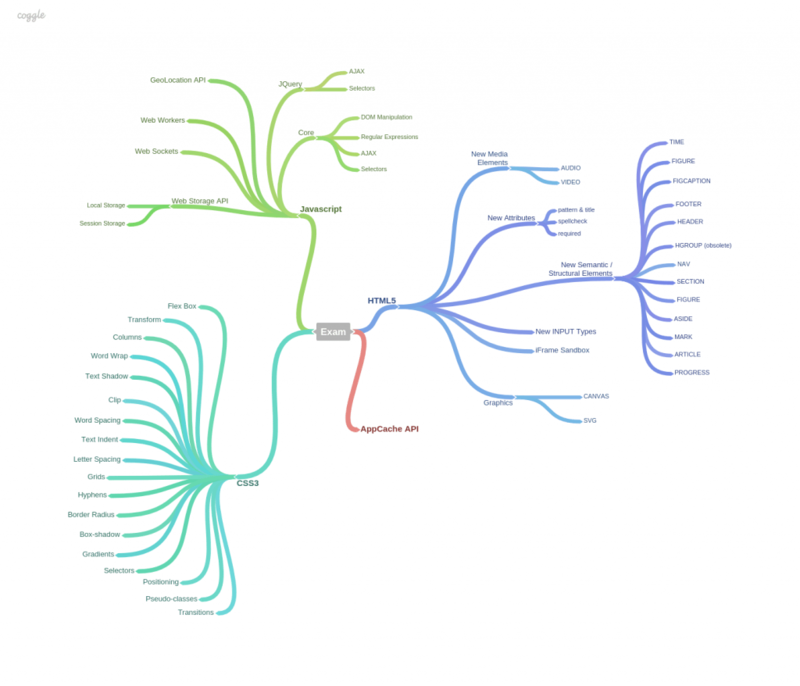 I’ve compiled a mind map of the key topics to study – using the free online tool Coggle. You can see my exam reference mind map below. Microsoft also have some great online video training resources for the exam. Check out the exam video series available at Microsoft Virtual Academy. It’s specifically tailored to this exam, and best of all it’s FREE! For those of you that have a subscription to Pluralsight, check out the PluralSight exam video series which touches on some of the key topics covered in the exam. I personally didn’t watch the entire thing, just the content that I was interested in learning more about. 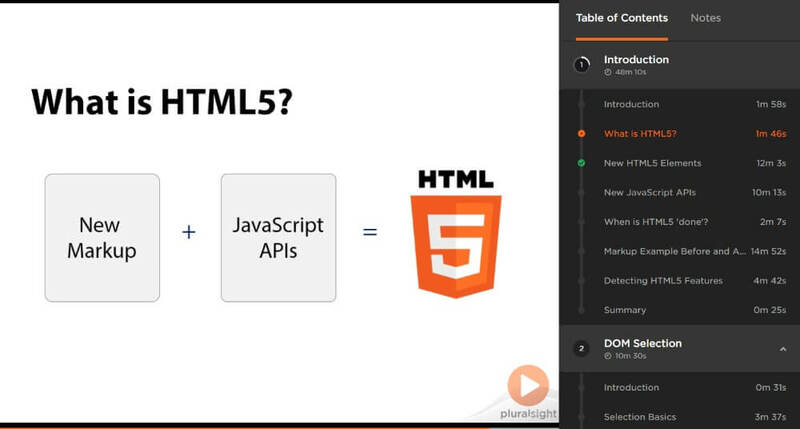 If you haven’t yet used PluralSight than why not use the FREE trial to test it out. I’ve been a subscriber for a long time now, and love it! I also purchased the Official 70-480 Test Exam (which you can find here). The test exam is composed of randomly generated questions, some of which actually appeared in the actual exam. I sat the test exam multiple times until I was confident. Although not overly apparent, if you pass the test exam and then fail the real exam, you can get your money back for the test exam. The exam covers a number of different topics so I’d recommend that you take your time and make sure you’re comfortable with the content. In the interest of full disclosure, some of the above external links are affiliate links. If you found this content useful and wish to return the favour, thank you! I hope this exam study guide helps others that plan to sit the 70-480 exam. Best of luck! Where do I get the Official 70-480 Test Exam. Thanks! You can find links to the official test exam on the main Microsoft exam page – https://www.microsoft.com/en-au/learning/exam-70-486.aspx. Click the “Practice Test” link in the “Preparation Options” section. Thank you so much for posting this Shane! You even posted it on my birthday! I am following these steps they really guide me. I wish to pass this exam. I am new to all this and I am looking for help before I Can start for this exam. I have few questions for this if you could help in this. 1. How much preparation time is usually required before sitting in the real test? 2. Is the test exam free or there is fee for this? 3. How this the test score is evaluated, like are there any passing marks or what? I am not sure about this. 4. Any information about other two exams for MCSD (486 and 487). 5. How much time will it take to become a MCSD? Microsoft recommend you have at least 1-2 years of real world experience before sitting this exam. Yes, there is a cost associated with the exam. 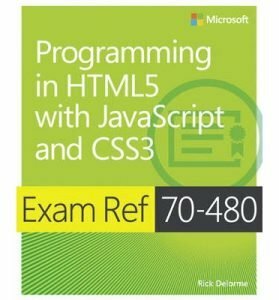 See the main Microsoft 480 exam page for more information – https://www.microsoft.com/en-au/learning/exam-70-480.aspx. After completing the exam, you’ll receive a pass / fail mark along with a score rating. Each exam has a minimum score rating you must meet to pass the exam. Microsoft do not specifically state how the questions are weighted. With regards to the other exams, please refer to my other previous posts. As to how long it will take to achieve the MCSD, that will vary from person to person. 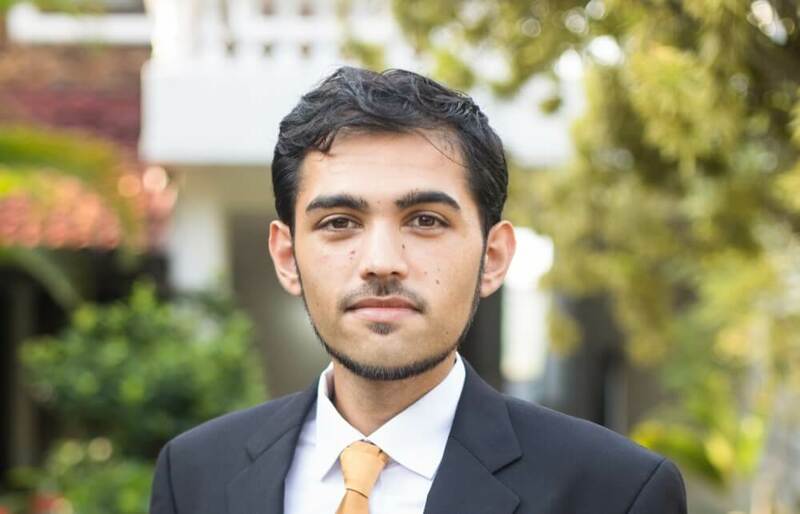 For me I spent around 6 months preparing/completing all the exams.